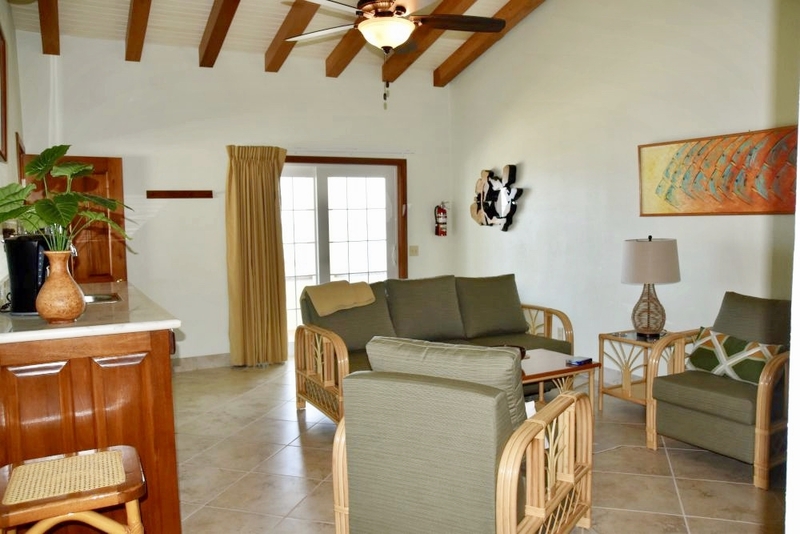 The Pelican Villa is a direct oceanfront, two-bedroom/two bath villa, featuring vaulted ceilings and a common area which is ideal for families or two couples. It is Turneffe Flats' newest and most deluxe of accommodations. The common area is set up as a living room with a flat screen television, small refrigerator and kitchenette/bar. This luxurious villa includes two bedrooms, one of which features a King bed and the other with one Queen plus one Twin bed. All accommodations are air-conditioned and all bedrooms have private baths.